Season opening 23rd March 2019 with so much to see and do in the house, garden, farmyard and playground. 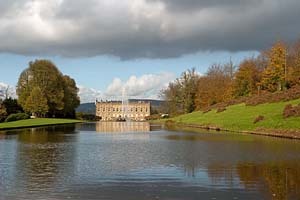 The 1000 acre Park on the banks of the River Derwent is open, free, throughout the year. 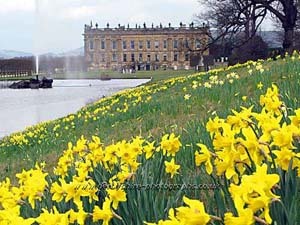 Known as one of the wonders of the Peak, Chatsworth House in Derbyshire is the home of the Duke and Duchess of Devonshire ,the Cavendish Family. 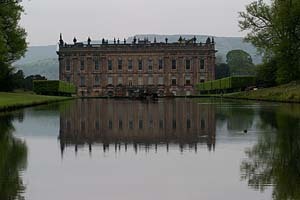 Chatsworth house and gardens have attracted visitors, from all over the world, for many generations. 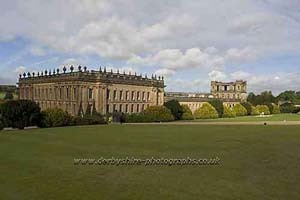 Building of Chatsworth House in Derbyshire was begun in 1552 by Bess of Hardwick and her second husband Sir William Cavendish. 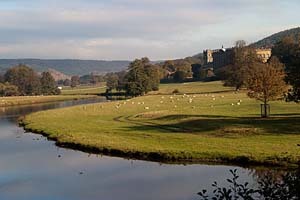 Their second son, William, was created Earl of Devonshire in 1618. 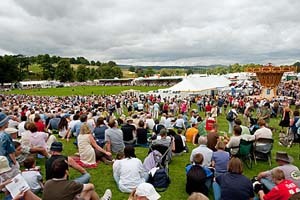 The 4th Earl who was created 1st Duke of Devonshire in 1694 after assisting William of Orange to claim the British throne, began to make improvements at Chatsworth. 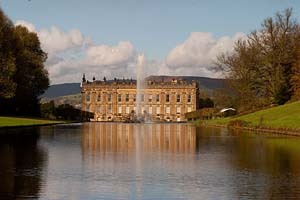 Eventually he completely remodelled the house and added formal gardens and the famous cascade. Most of the work was completed before he died in 1707. 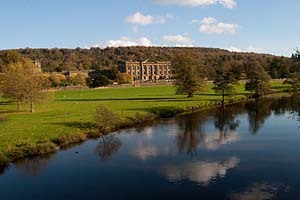 Chatsworth park was landscaped by Capability Brown who reshaped the formal garden into the more natural one you see today. 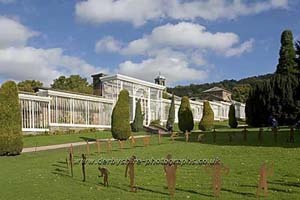 The 6th Duke engaged Joseph Paxton as the head gardener, resulting in the enrichment of the gardens and the creation of the Emperor Fountain as well as the now demolished Great Conservatory. 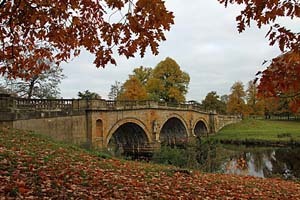 The house and gardens have remained little changed since the 6th Dukes time. The stunning chapel at Chatsworth House was built between 1688 and 1693 by the 1st Duke, and has remained unaltered ever since. Laguerre and Ricard painted the walls and ceilings with scenes from the life of Christ and Verrio painted the picture of Doubting Thomas over the altar. The Great Staircase sweeps down to the marble floor that was laid by the 6th Duke in 1834.The Scots Rooms make up the section of the house which were used to keep Mary Queen of Scots, who was placed in the custody of the 6th Earl of Shrewsbery, Bess of Hardwicks 4th husband by Queen Elizabeth I. 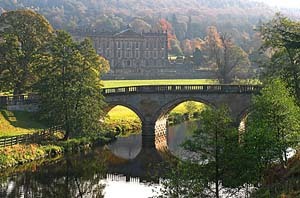 Throughout Chatsworth house there are paintings, tapestries and fine pieces of furniture. The sculpture gallery contains magnificent specimens from Classical times, to the present, and the library contains one of the greatest private collections of books, prints and Old Master drawings in the world. 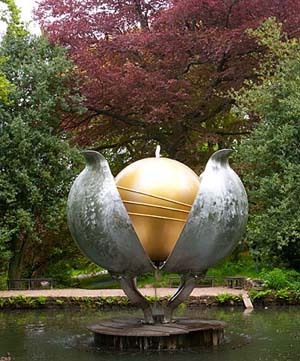 Modern work is also well represented with sculptures by Angela Conner and Elizabeth Frink and paintings by Lucian Freud. There is a Farmyard, opened to give visitors an insight into how the farms and woodlands on the estate are run. 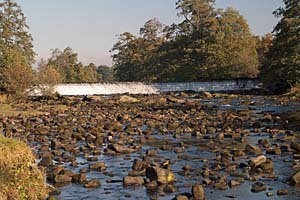 There are picnic areas as well as a childrens adventure playground, gift shop, refreshments and a restaurant. 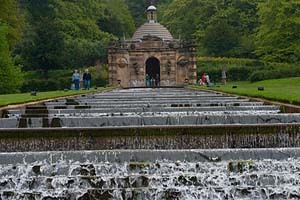 At Chatsworth gardens you can explore 5 miles of walks with rare trees, shrubs, the kitchen, cottage and rose gardens, temples, sculptures, fountains, streams and ponds. Merman Barn is a converted limestone barn on the quiet outskirts of Tideswell, only a short walk from the village centre. 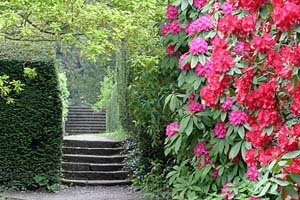 There is private parking for up to 6 cars at the rear of the property and a walled garden in which guests can relax.